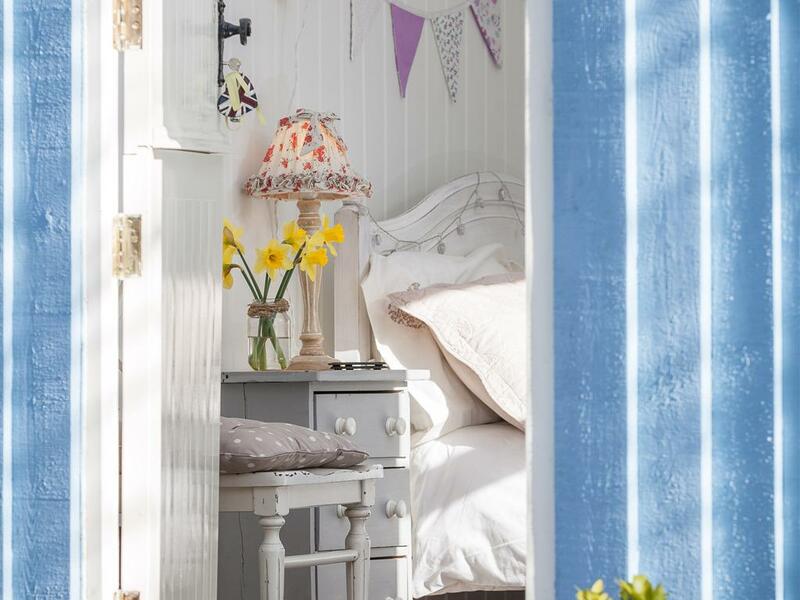 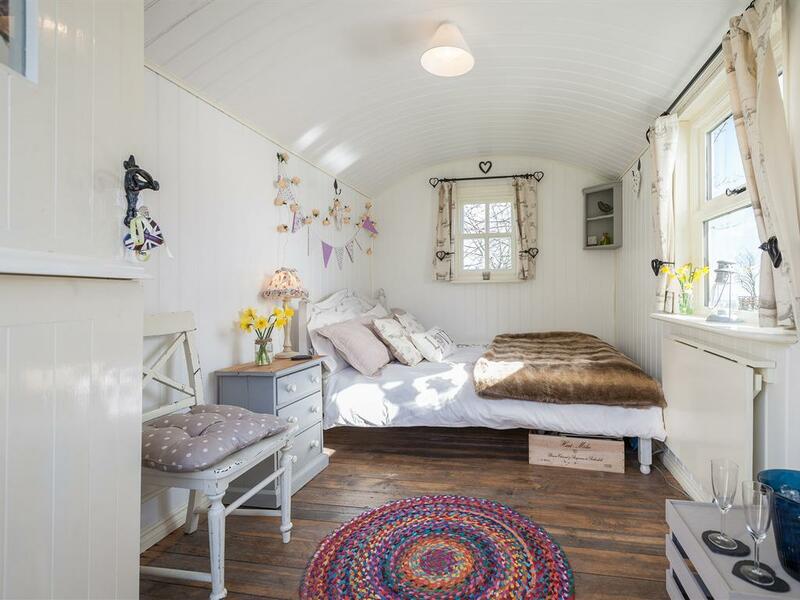 The Shepherds hut sleeps two guests ,It has a full sized double bed and is heated by a log burning stove ,It is tastefully decorated with fairy lights and bunting and has electricity for lighting , tea and coffee , hairdryers and phone chargers . 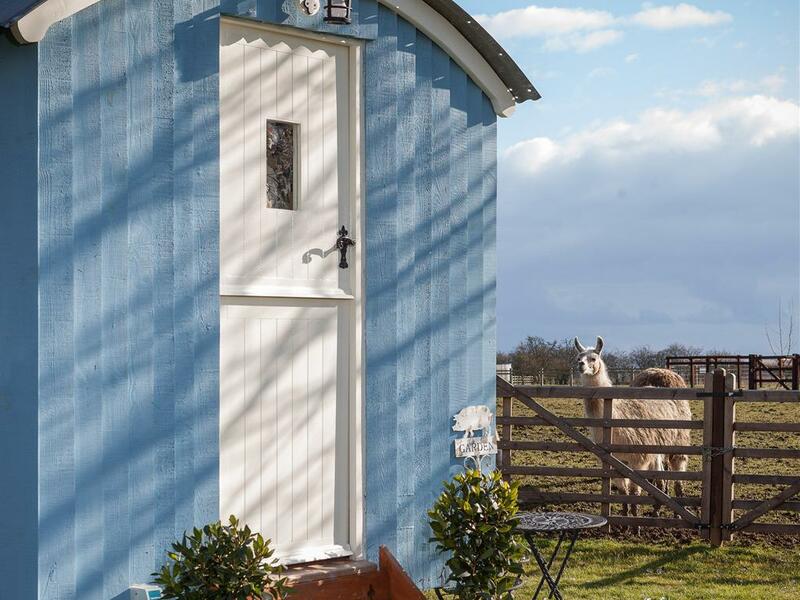 We have a luxury toilet and shower block a few meters away from the Shepherds hut . 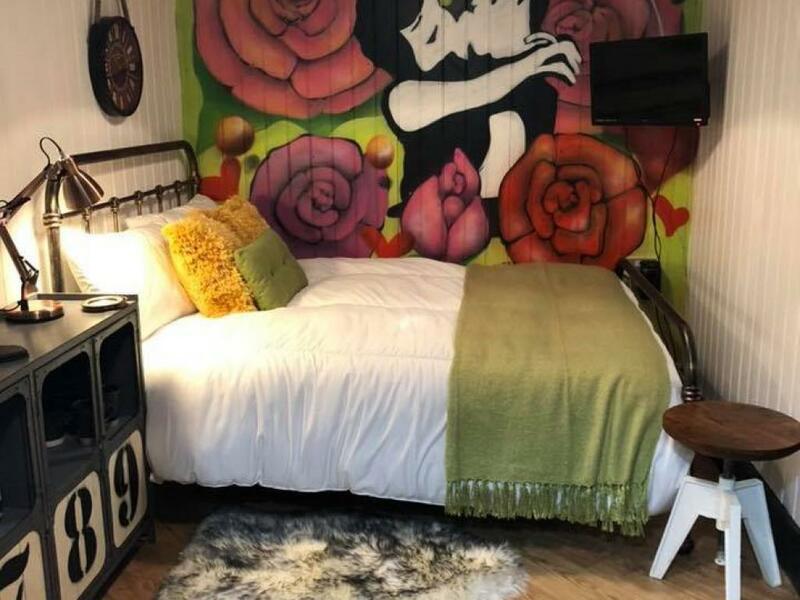 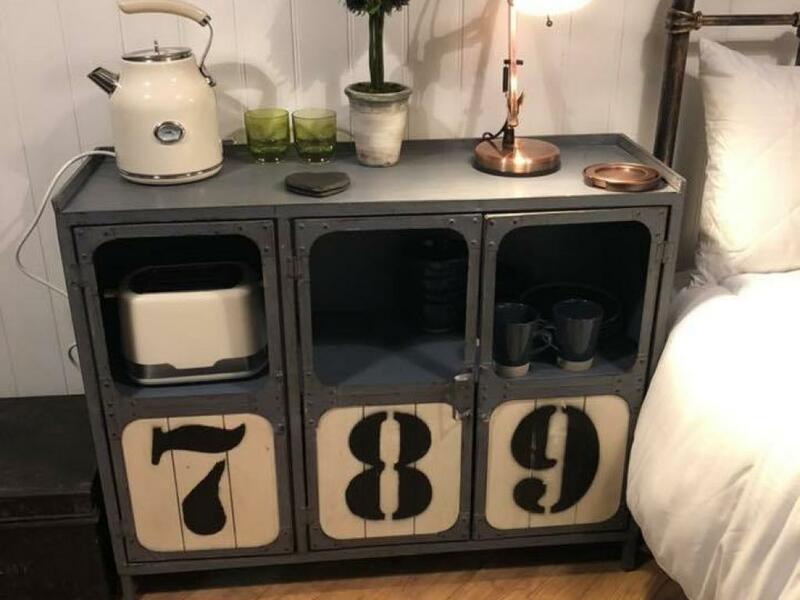 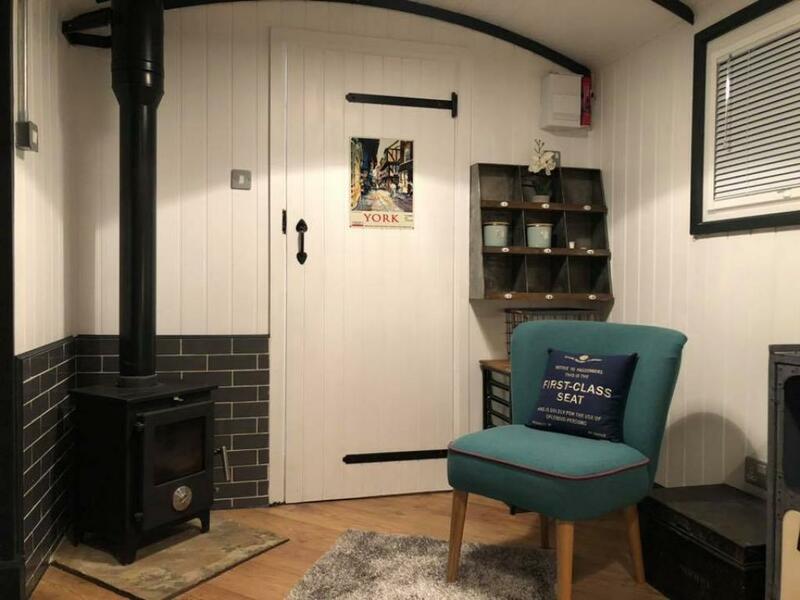 Our railway goods wagon offers quirky railway inspired accomodation for couples , it has been carefully designed to be a bespoke bedroom space with the benefit of an luxuy ensuite shower room and toilet . 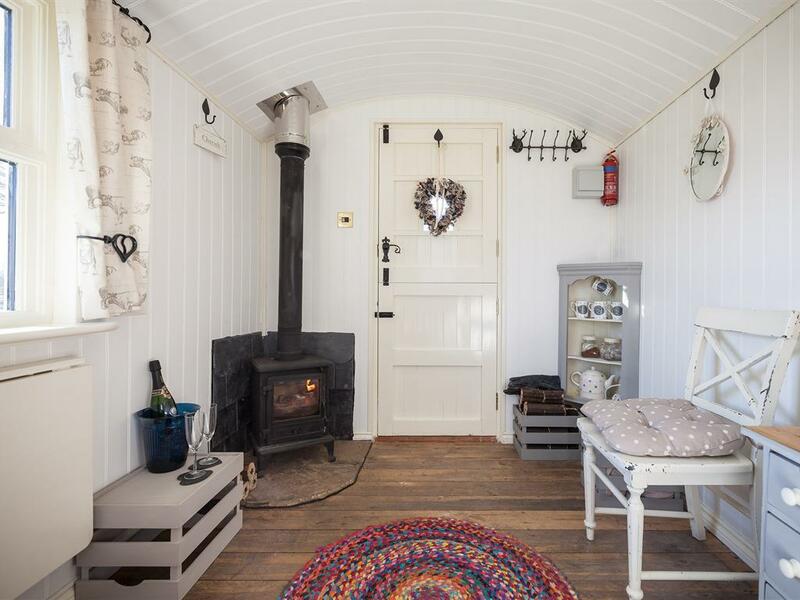 The carriage is heated by it's own woodburner and stands in it's own garden area , looking out over paddock land. 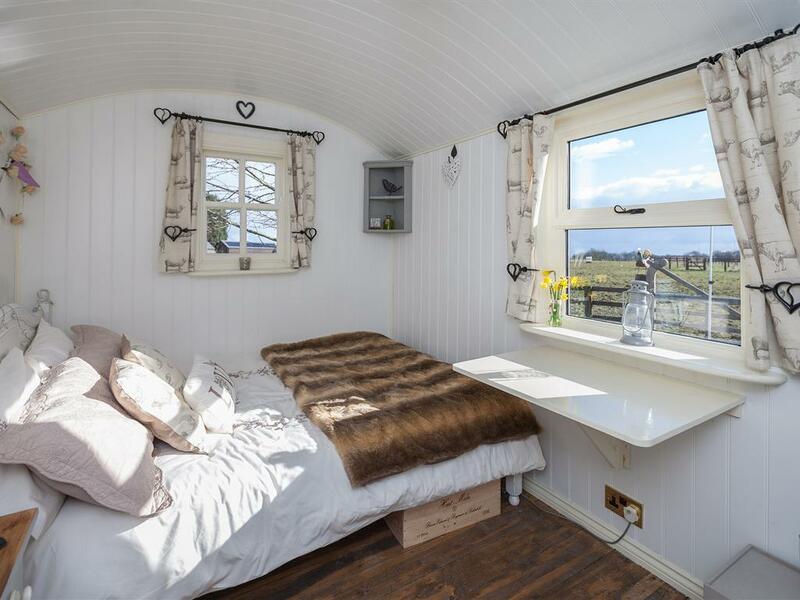 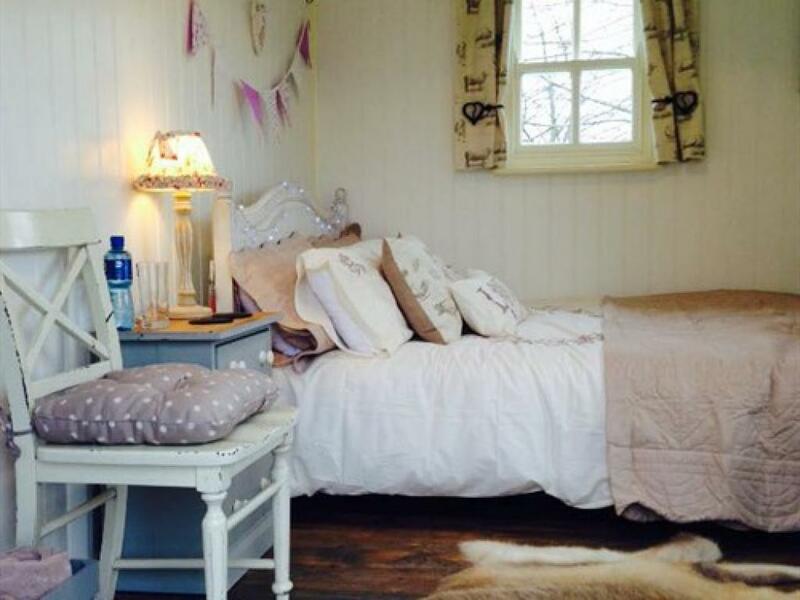 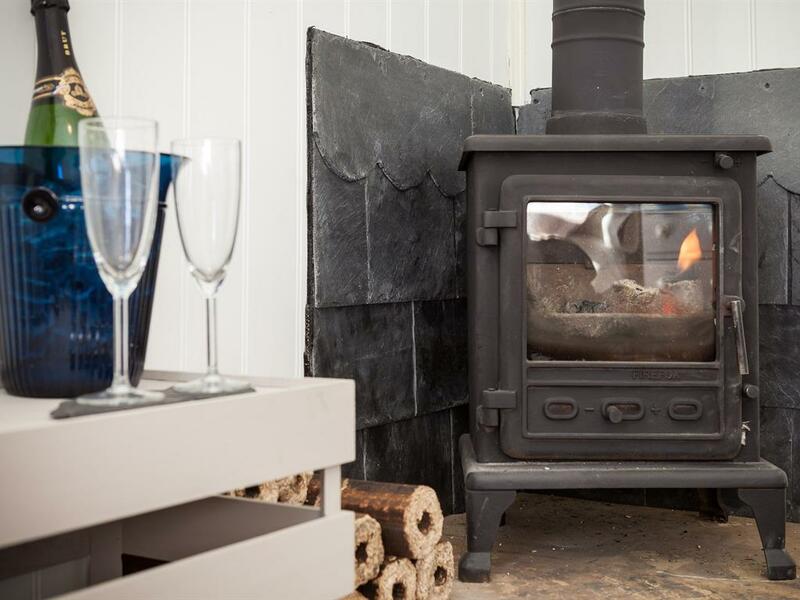 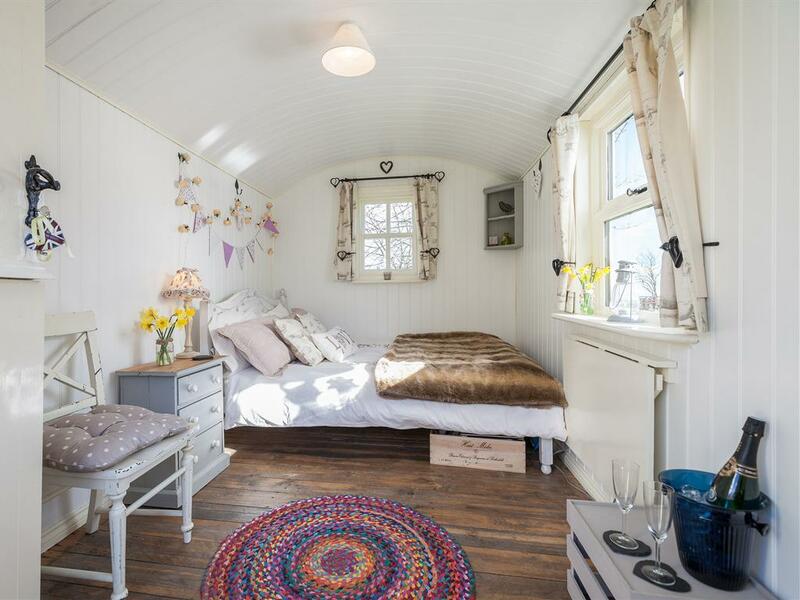 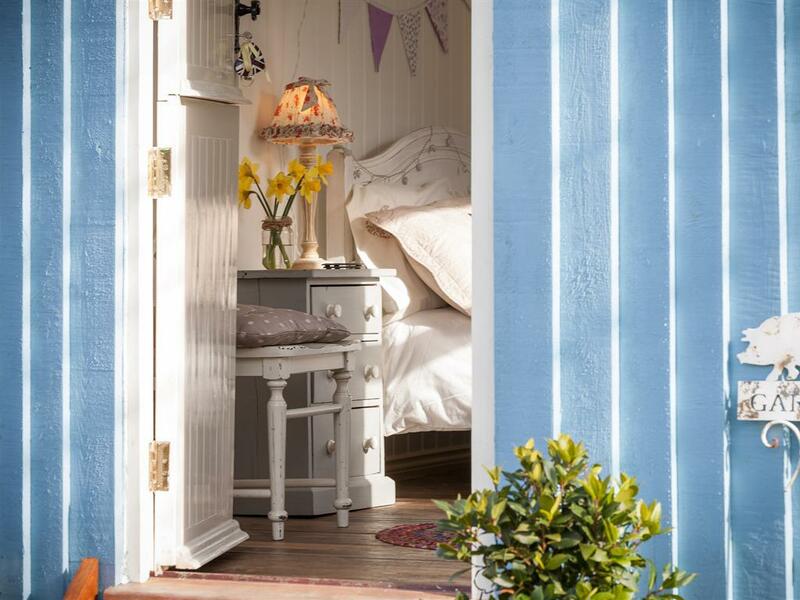 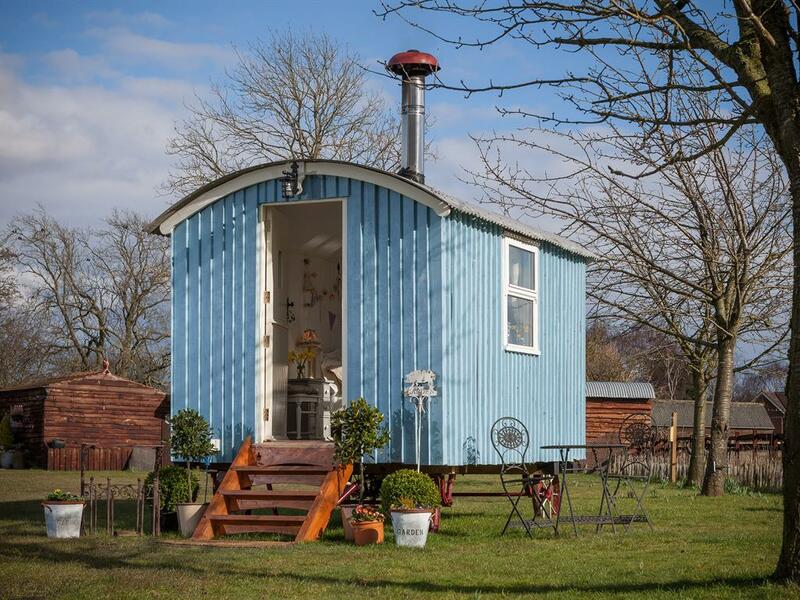 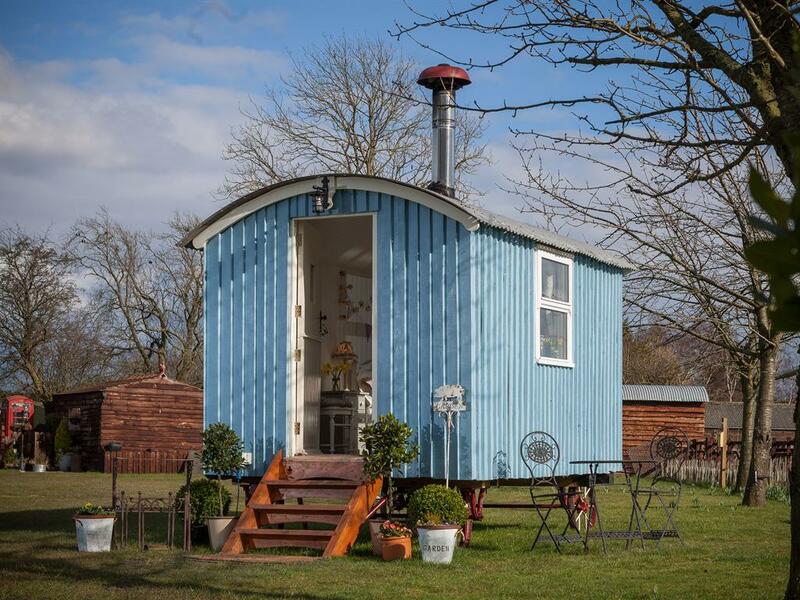 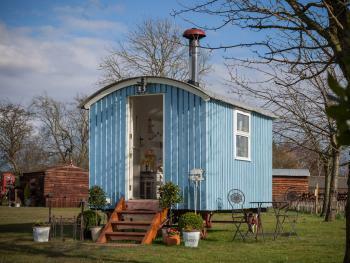 Skipbridge Farm Shepherds Hut and Railway Goods Wagon ( Wally's Wagon ) Our Shepherds hut and Wally's Wagon truly offer your own romantic and intimate space, both are beautifully decorated and have comfortable full size double beds .Heated is provided by a small wood-burner. 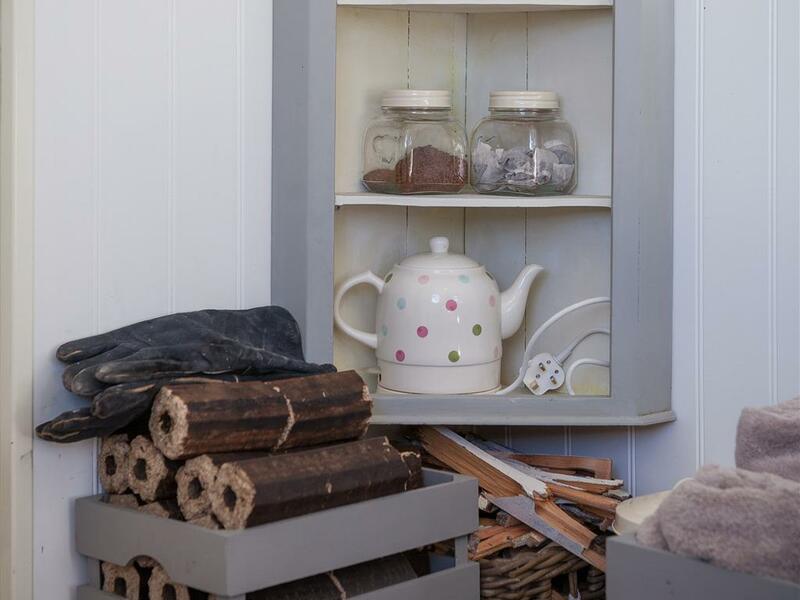 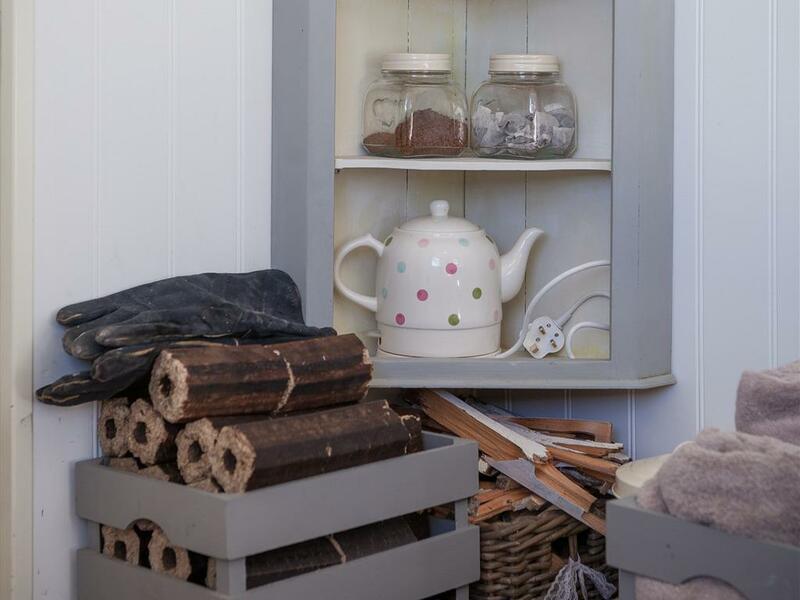 We supply the wood ,towels and bed linen, tea and coffee. 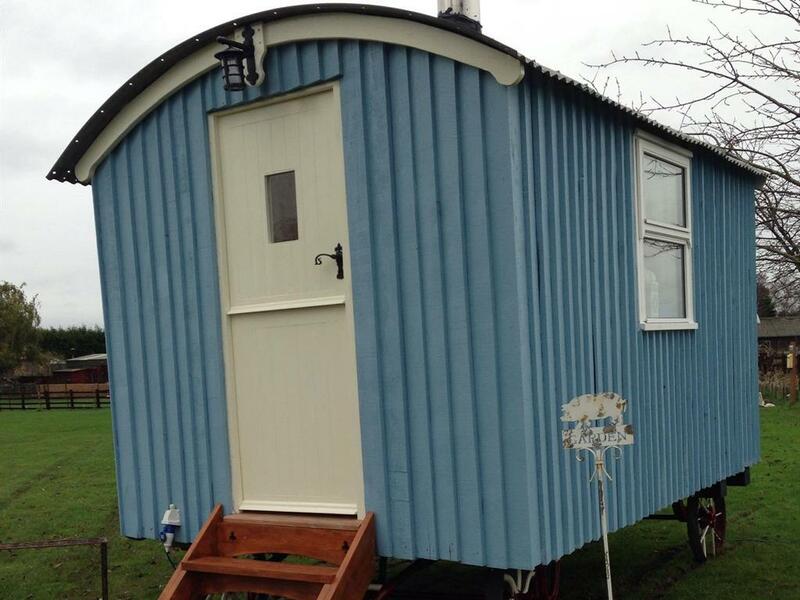 Wally's wagon has a shower room and toilet. 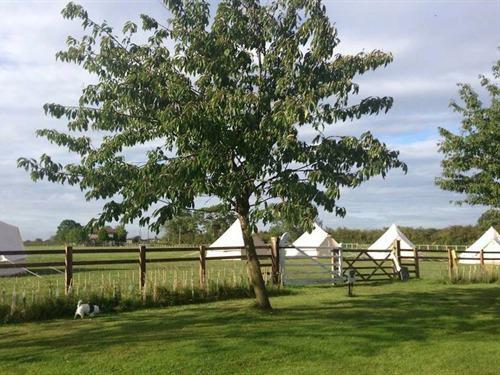 On summer evenings there is a barbecue available so you can sit and enjoy the beauty of your idyllic surroundings in the evening and enjoy the amazing Skipbridge sunsets and lovely grounds ,Ideal for a rural get away, Electricity is also provided for lighting ,kettle, phone charger, hairdryer etc. 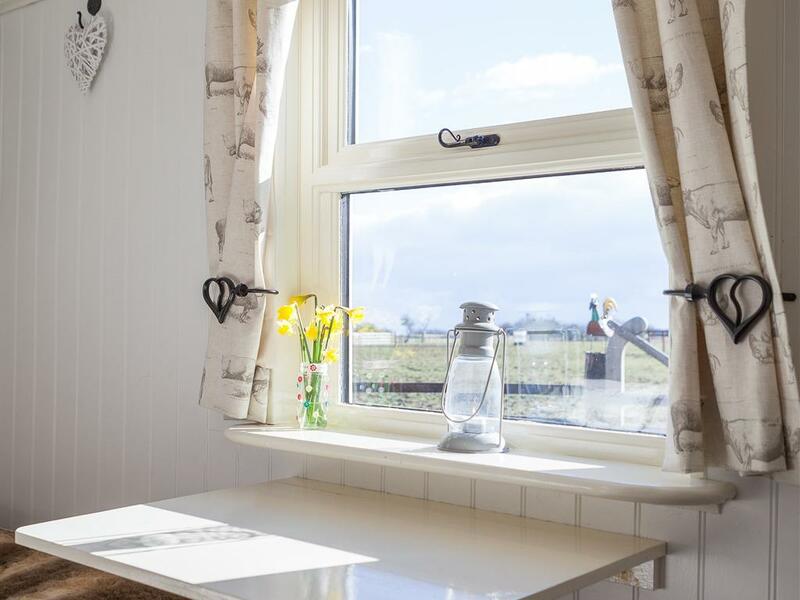 Skipbridge Farm is located near to York and Harrogate , ideal for sight seeing , theatre and shopping , Surrounded by trees and animals There is ample, off-road parking and the extensive grounds for your enjoyment whilst staying with us. 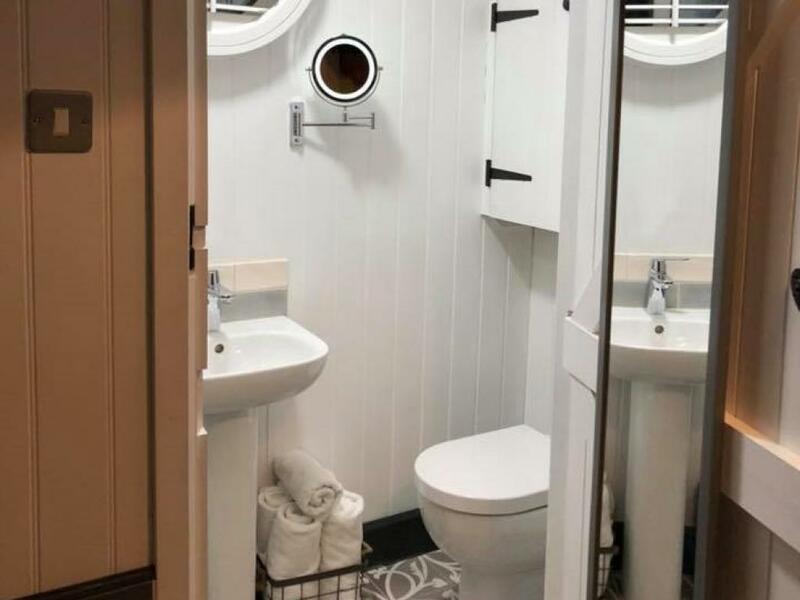 A separate luxury heated shower unit with toilets and a shower are located 20 meters away, there is an electric point in here for hair dryers and mobile phones. 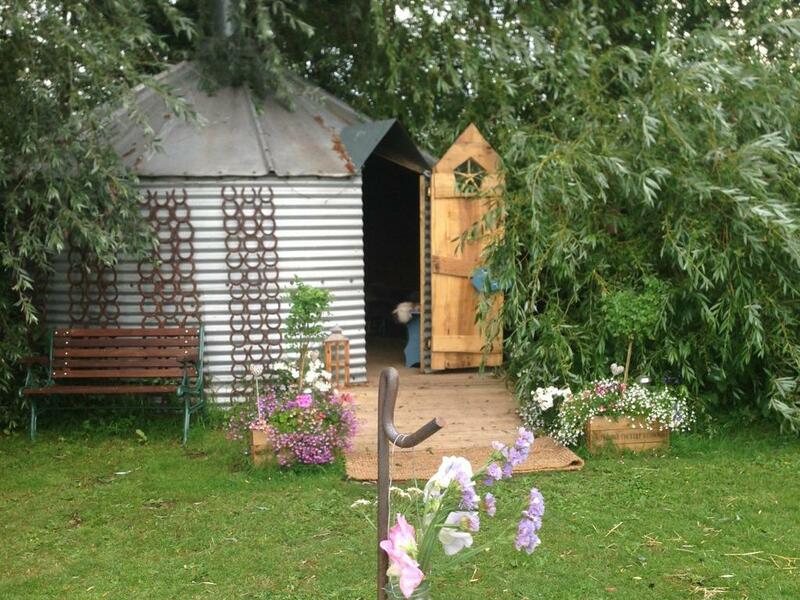 In wet weather it is advisable to bring waterproof shoes or Wellington boots. 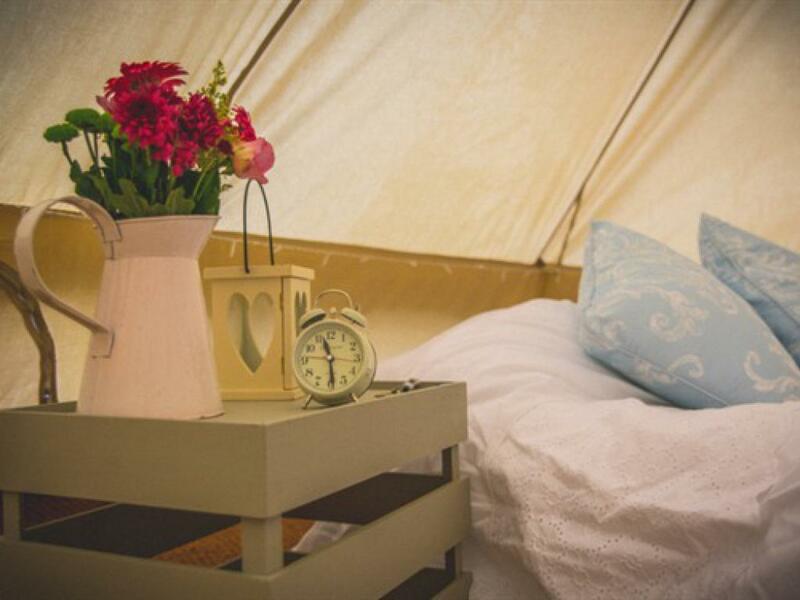 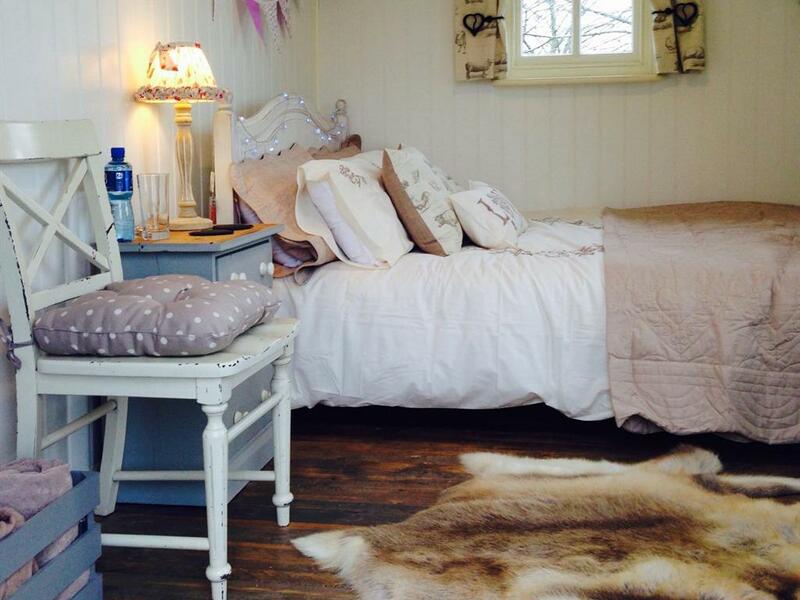 Skipbridge Farm Bell Tents and Pods A simple and beautiful alternative to your glamping break. 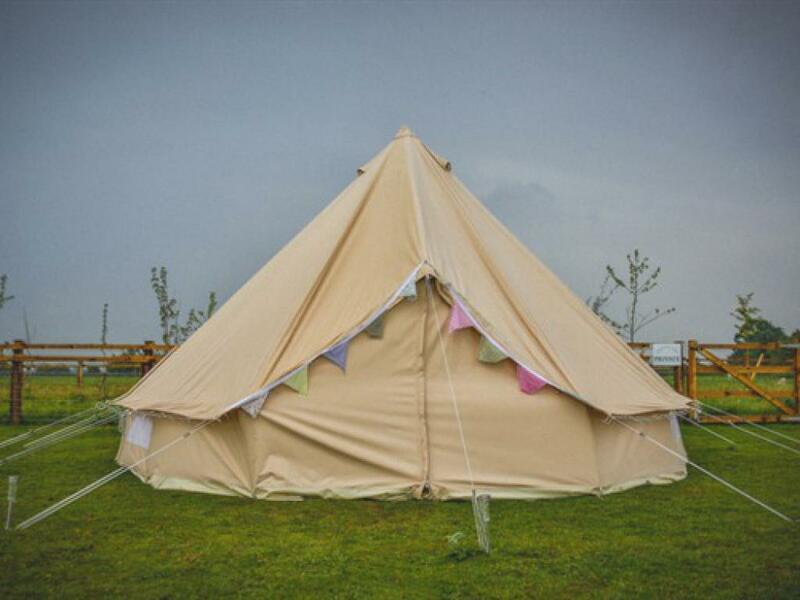 The spacious bell tent is decorated to an extremely high standard with coloured bunting, fairy lights and battery tea lights, rugs and tartan throws. 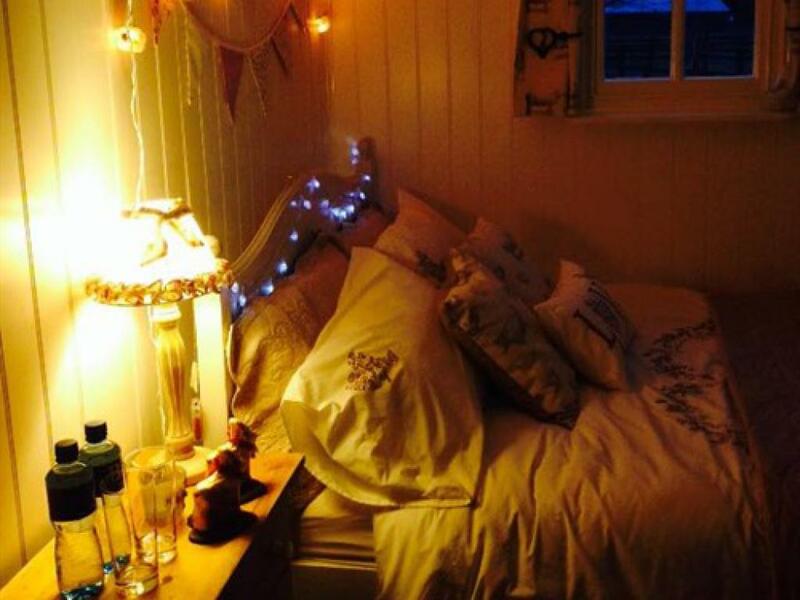 The double mattress is made up with warm duvets and throws. 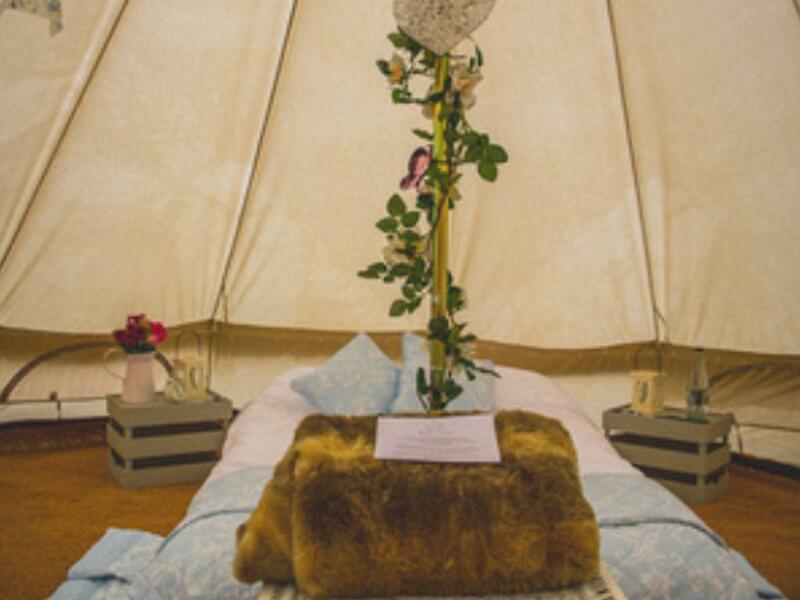 If you are booking as a family we can put in additional air beds for children for a small additional cost , we can provide bedding for you. 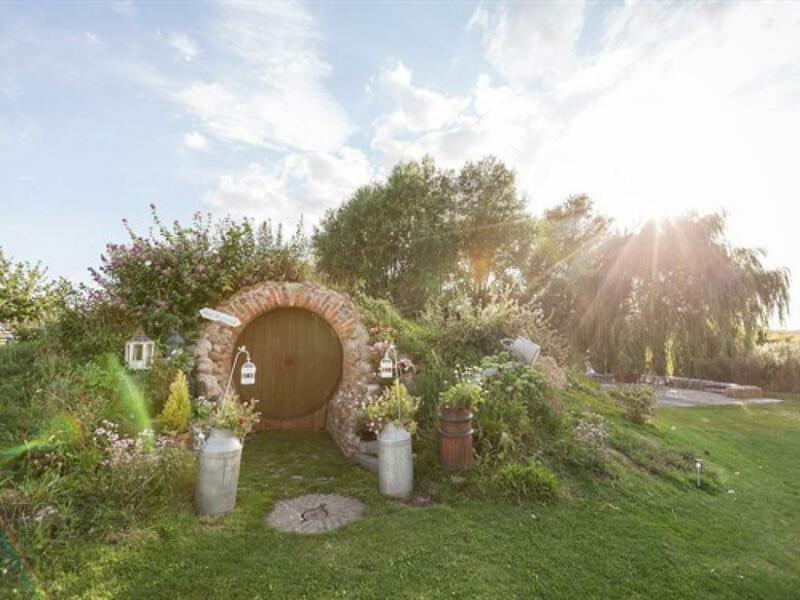 We can also provide bacon sandwhiches or continental breakfast for a small additional cost . 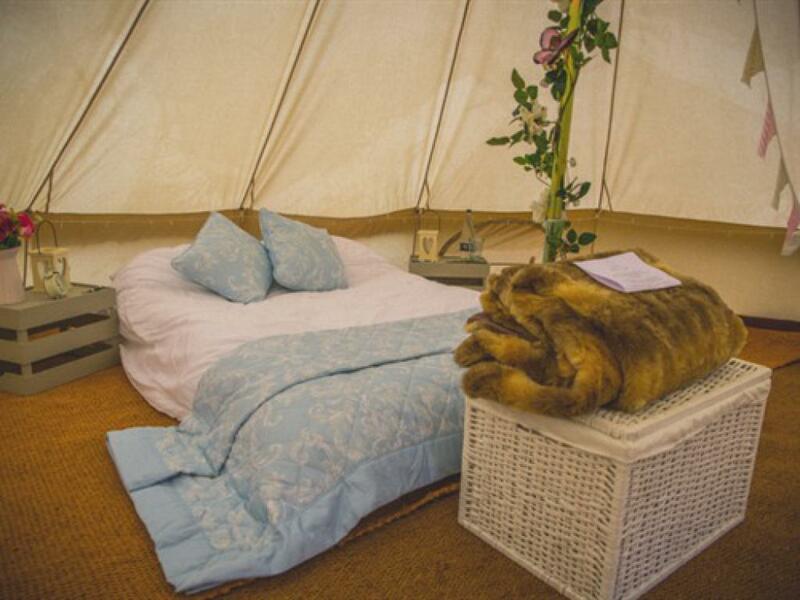 Please note the tents do not have heating or electric in them. 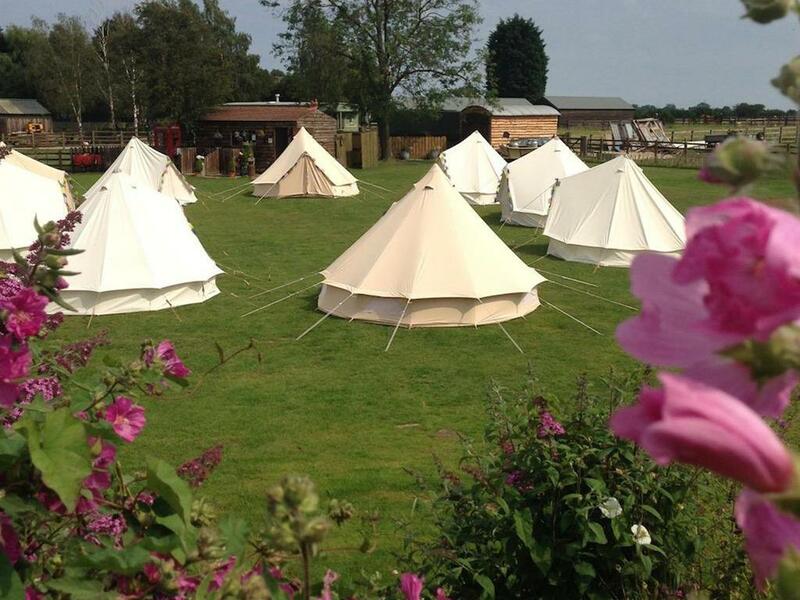 Please note we cannot accept same day bookings for our tents. 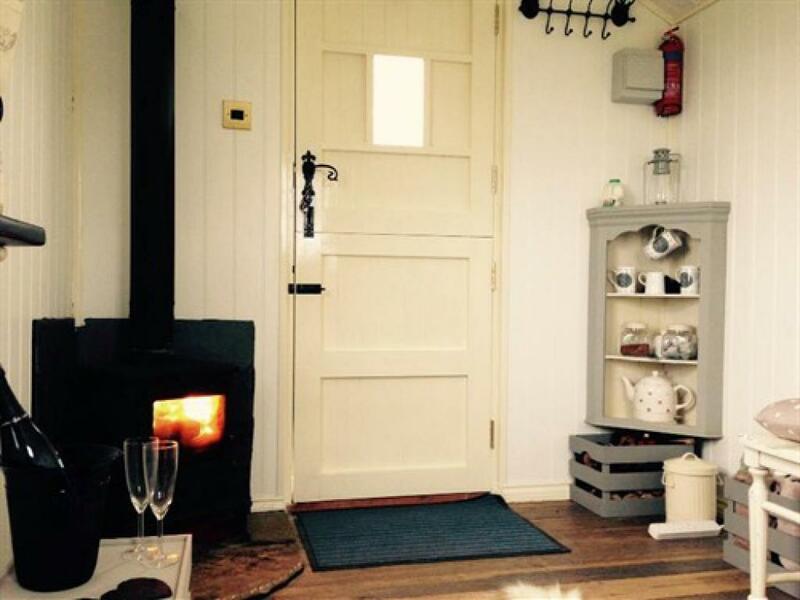 Our wooden pods are heated by a small woodburner .